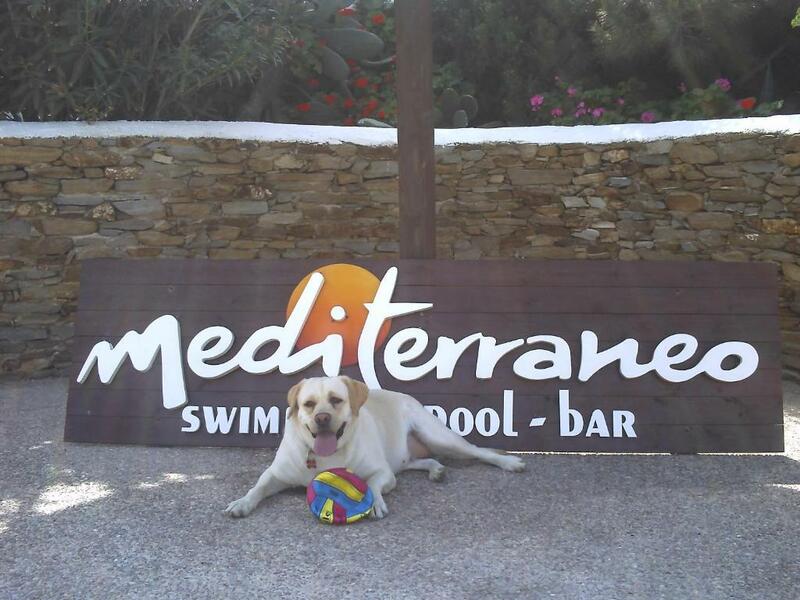 Lock in a great price for Hotel Mediterraneo – rated 9.4 by recent guests! Sal was extremely friendly and helpful. He provided rides to and from port. His beach, bar and restaurant recommendations were all spot on. The room was beautiful and I had my own personal patio area by the pool with a couch and hammock to lounge in. The pool was quite large and extremely clean. His dog Nena was awesome, she loves to be pet! Will definitely stay here again on Ios. Also a great location with the bus right outside as well as a supermarket, creperia, and two gyro joints. Sal was also always around and would stop whatever he was doing to help/provide a recommendation. See you again next year! The view was incredible, staff was super friendly and helpful in making us experience the most of ios. Right in the heart of the city, easy to access food and night life. We were a little hesitant when we arrived on the island of IOS. For the time we were there it was a much younger crowd than we are used to. However, Sal and his hotel MADE our trip. Once you step into the hotel area you feel like you are in a totally different place, so serene and zen. Sal is so sweet, funny, informative and most gracious host. We would wake up and come down by the beautiful pool and he already knew that we were there for some of his delicious breakfast! The highlight of our Greecian vacation is all thanks to Sal, he suggested instead of Far out Beach which is very young to instead go to Pathos. Let me tell you it was AMAZING!!! If it wasn't for Sal i don't know what we would of done! We love and miss you Sal!!! So much so that we are planning to stop in Ios next summer just to visit Sal & Pathos! The location was excellent, 2 minutes from city center, and 1 minute to the bus stop. The host was super helpful with nice sense of humour and makes your stay a great experience. The facilities include a pool and a pool bar which is nice to pass by during your stay. The owner Sal is really outstanding. Available at all times, since the free pick up at the port and later to offer tips on where to go, eat.. Hotel is very well located in front of the city main entrance, right at the main bus station and all shops. The swiss man who we assume owns the hotel, was very friendly, kind and helpful. He offered and brought us to the ferry port without us requesting. The food and cocktails at the bar were delicious! The hotel was Easy to access, and the main bus stop was right outside the door. Everything! 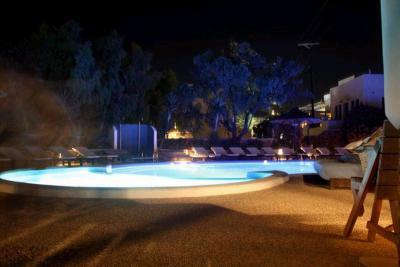 Excellent location, beautiful pool, beautiful spacious rooms, excellent staff that go out of their way to accommodate you. This is an excellent hotel. The owner Sal is hands on and a very nice guy. He offered to switch my girlfriend and I to a nicer room that became available for the same price, which we happily accepted. This along with other personal touches made for a great stay. The property is clean, the pool area is awesome for relaxing, and the proximity into town is perfect. The bus stop is five second walk outside the main gate, so getting to beaches is also very easy. A bonus is Sal's dog, who is quite sweet and happily accepts pets on the head. Brilliant, brilliant host. Friendly, helpful and charming. Top, top fella. Sal - thanks for looking after us. Conveniently located in the capital of Ios, Hotel Mediterraneo consists of air-conditioned rooms with furnished balconies overlooking the pool and the town. The hotel offers free Wi-Fi in its public areas. Simply decorated, the rooms at the hotel come with TV and fridge and all have private bathrooms. Continental breakfast can be served at the bar or in the room and guests can also enjoy a coffee or a drink at the pool bar. Hotel features BBQ facilities. Bars, restaurants, supermarkets and shops can be found in the village, while Mylopotas Beach is half a mile from Hotel Mediterraneo. The port is also half a mile away and the hotel can arrange free transportation to and from the port. 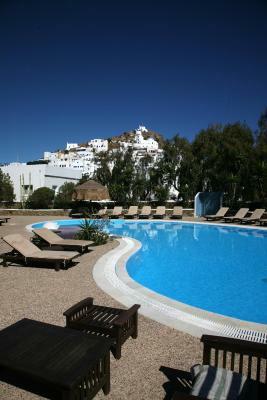 The air-conditioned rooms include TV and fridge and enjoy views to the town and the pool from their balcony. Sal is an excellent host. Great property and food and the location couldn't be better. Perfect location - bus stop seconds away. The port is a nine minute walk . Our room was cleaned with fresh sheets & towels daily . Fridge in the room was great to keep water and drinks cold. No issues we had a great stay . The bathroom is ridiculously small and cramped. U couldn't sit on the toilet seat without your legs hitting the basin. The room was a little small for 3 people. Apart from that everything else was great. Salvatore the owner and host was exceptional. Nothing was too much trouble. Great advocate of the island and very accomodating. 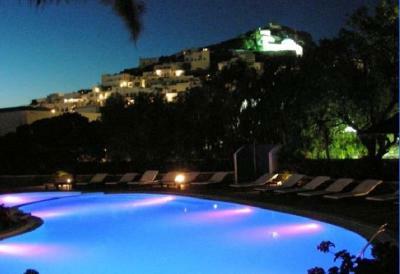 Great location and the pool was wonderful. Played the best mix of music and really made you feel so welcome. All at an amazing price. The hosts were awesome and the location was perfect! 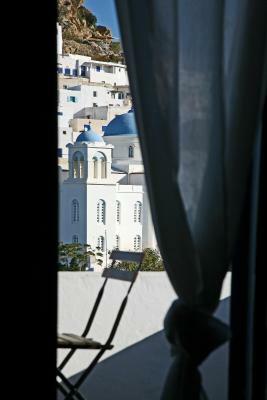 Waking up in the morning to see the town centre Chora in the background was beautiful and picturesque. 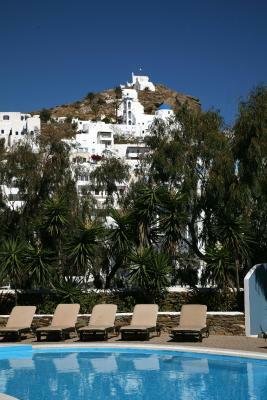 The location of the hotel is perfect, right in the centre of the village of chora, allowing you to get to everything you want with great ease. There is a bus stop just outside the hotel which takes you to either the port or the beach. The hotel itself was fantastic, very peaceful and the owner and staff where all very friendly. On your stay you must take the chance to have the BBQ that the hotel put on themselves once every couple of days, it tasted amazing and was great value for money! I would recommend anyone to make the extra effort and travel to Ios and when you do make sure you stay at this hotel, you won't be disappointed. Best hotel in Ios by far! A serene oasis above the most convenient spot! 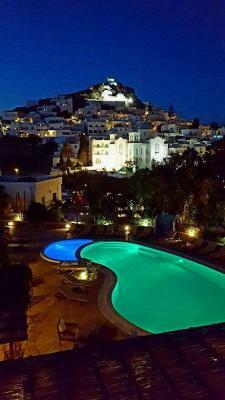 You can drink amazing coffee and cocktails by the pool with the most stupendous view of Hora. You don't need means of transport to go out at night and the bus station to the beaches is right outside! Everything is sparkly clean and the people super polite. A wonderful complete experience of the beauty of Ios! Only that I had to leave! Everything was amazing! Beautiful view! 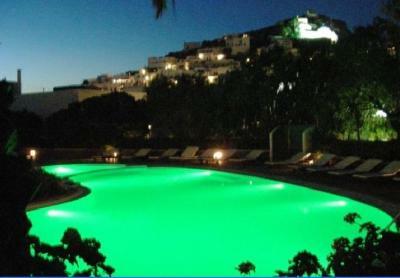 Lovely big pool! Amazing staff always happy to help and give suggestions/directions! Made our stay really enjoyable! Hotel Mediterraneo is right across the road from the centre village which has all the shops and resturants. Close to everything, amazing pool area. The owner is an absolute legend, with friendly staff. great location, middle of everything ,only walking distance to the night life /bars and clubs. awesome pool area. good friendly hotel vibe.The owner of place is a legend ,went over and beyond with everything, went out of his way to make us comfortable and helped us with anything we needed. would defs stay again! !